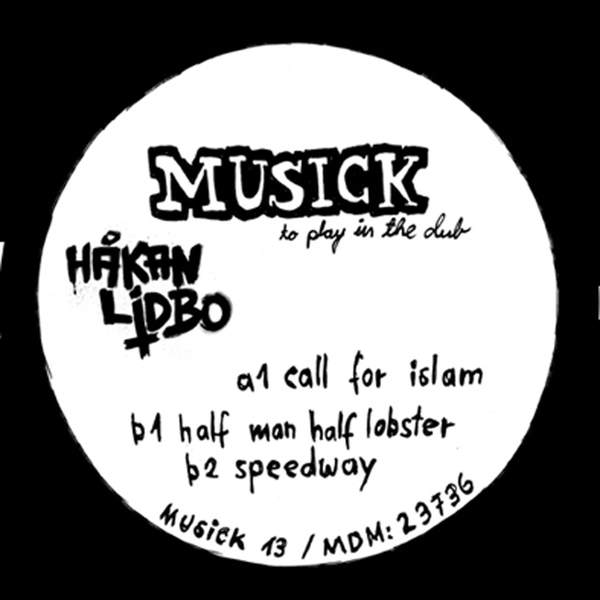 Renowned for making techno that looks straight into the mirror-ball and comes away smiling, Hakan Lidbo brings his Swedish take on the disco-tech genre to Shitkatapult for the latest in their virulent 'Musick To Play In The Club' series. Opening through the title track 'Call For Islam', Lidbo introduces a noticeable Arabic influence through distorted vocals that are neither contrived nor stereotyped, before a hurricane of midnight bass-lines, minimal melodies and 4/4 beats blow through town for maximum effect. Dark and brooding, 'Call For Islam' is thrown into the light by 'Half Man Half Lobster' - wherein the disco elements overpower the angular techno edges for an old-school prism, before 'Speedway' closes the show through strobe lights, buckled snares and some cold-water synths. Disko to disko!